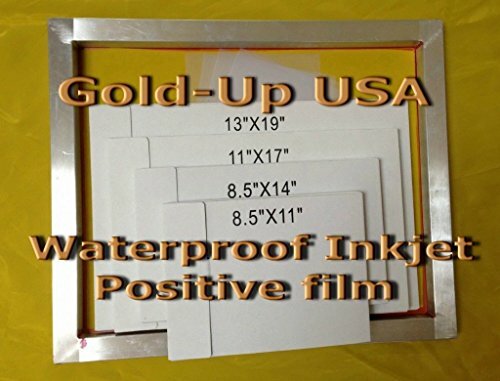 Other Features and Benefits: - Micro-porous waterproof coating technology - Dimensionally stable film means great registration and no curling - Quick dry time equals faster process times and less ink usage - Accurate dot placement results in excellent line definition and acuity - High ink load capacity - Minimal "yellowing'' allows the processed film to retain the image over time and be used repeatedly - Thickness: 4 Mil Note: Our waterproof inkjet film has two sides, the smooth side and the rough side. Please print on the rougher side of the film. Merchmakr HotSwap Ready Screen Printing Screen 155 Mesh 17"x17"